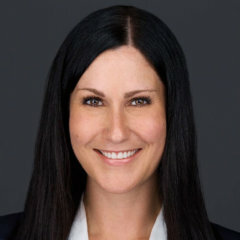 Heather Malaryk holds a B.A., Psychology with Distinction (2000) and an L.L.B. (2006). She started her legal career at a general practice law firm that specialized in medical malpractice, personal injury and insurance litigation. In 2009, she shifted her focus to practice family law exclusively. Heather has published papers and presented in her areas of practice and she has advocated for legislative reform in the area of child welfare law. 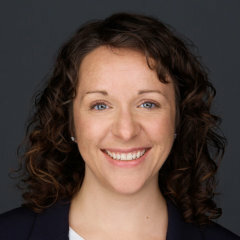 She is a member of the Canadian Bar Association and has served as a supervising lawyer for placement students from the U of A’s Faculty of Law. Heather currently practices in all areas of family law. Her focus is on helping people create solutions that work for them in a cost-efficient way, while preserving their important relationships. She believes that families are their own experts and with some guidance, they can come up with their own best resolutions. Heather is a provisionally registered Collaborative Family Lawyer and feels like she has found her home in the process. Please visit https://collaborativepractice.ca/find-a-professional/why-collaborative-divorce/ for 10 reasons why the collaborative process might work better for your family or for more information about collaborative family law in general, please visit: http://divorceseparation.ca/ . She is currently accepting new collaborative family law clients. Outside of the office, Heather enjoys travelling, good food, and outdoor time with her young family. 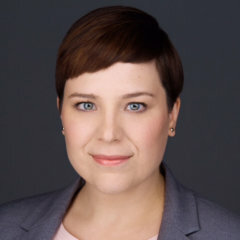 Sarah Dargatz graduated from the University of Alberta Law School in 2008 and was called to the Alberta bar in July 2009. She articled and then practiced with Legal Aid Alberta. 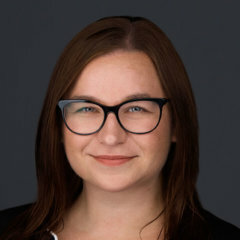 She joined the Family Law Office, a program of Legal Aid Alberta, in June 2010 and has been practicing family law exclusively since that time. She became the team lead of the Edmonton Emergency Protection Order Program in April 2015 and has experience working with clients who have been victims of family violence though she regularly handles files in all areas of family law. She is a member of the Canadian Bar Association and regularly takes advantage of training opportunities in all areas of family law. Sarah is also a mediator and a registered Collaborative Family Lawyer. Sarah is on the Board of Directors of the Today Family Violence Help Centre and she volunteers at the Edmonton Community Legal Centre and with E4C’s Crossroads Outreach Program. Riley Gallant graduated from the University of Saskatchewan College of Law in 2008. She has been a member of the Law Society of Alberta since July 2009 and a member of the Law Society of Saskatchewan since August 2010. Riley has practiced exclusively in the area of family law since 2009 with both Legal Aid Saskatchewan and the Legal Aid Alberta Family Law Office. Riley is a member of the Canadian Bar Association and has been a member of the Family Law Section executive committee since 2014. Riley has participated in the Canadian Bar Association Mentorship Program providing mentorship to University of Alberta law students since 2013. Riley acted as an advising lawyer to the University of Alberta Student Legal Services program from 2014 to 2017. Riley enjoys volunteering with Big Brothers Big Sisters. 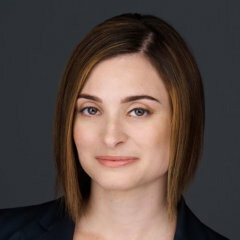 Amanda Baretta attended the University of Alberta Law School from 2008 to 2011. From 2010 to 2011 she participated in the Low Income People and the Law Clinic and was placed with the Family Law Office, a program of Legal Aid Alberta. Amanda graduated in 2011, articled with Legal Aid Alberta and Cochard Johnson, and was called to the bar in 2012. She has practiced exclusively in the area of family law since this time. Amanda is a member of the Canadian Bar Association and has been a member of the Family Law Section executive committee since 2016. In addition, she volunteers with the Alberta Animal Rescue Crew Society and as secretary of the Just-Us Girls Justice Committee. Danielle Collins graduated from the faculty of law at the University of Alberta in 2011. She articled with Legal Aid Alberta, the Edmonton Community Legal Centre and the Edmonton Provincial Criminal Court. Danielle became a member of the Law Society of Alberta in 2012 and has practiced exclusively in family law. She is an executive member of the Canadian Bar Association, northern family law section since 2013 and the chair for 2017-2018. Danielle was the advising lawyer for Student Legal Services from 2016-2017 and the chair of the Just-Us Girls Justice Committee from 2014-2017.